Upgraded and move-in ready home in highly desired Wildcat Ridge community! Recently updated kitchen with stainless steel appliances, including gas range/stove and granite counter tops. Living area includes gas fireplace with ceramic Italian tile, installed Bose speakers and beautiful laminate wood. Fourth bedroom upstairs has been converted to an addition space onto the master bedroom - can easily be converted back! The walk-out finished basement is currently being used as a bedroom. There is also unfinished space with rough-in plumbing and electricity ready to be finished as an additional bathroom. Backyard provides privacy and backs to trails space. The house exterior has been recently painted, as well as the large, over-sized deck with a new sliding glass door. Additionally. the home has a newer hot-water heater, and furnace!. Walking distance to schools, trails and parks. 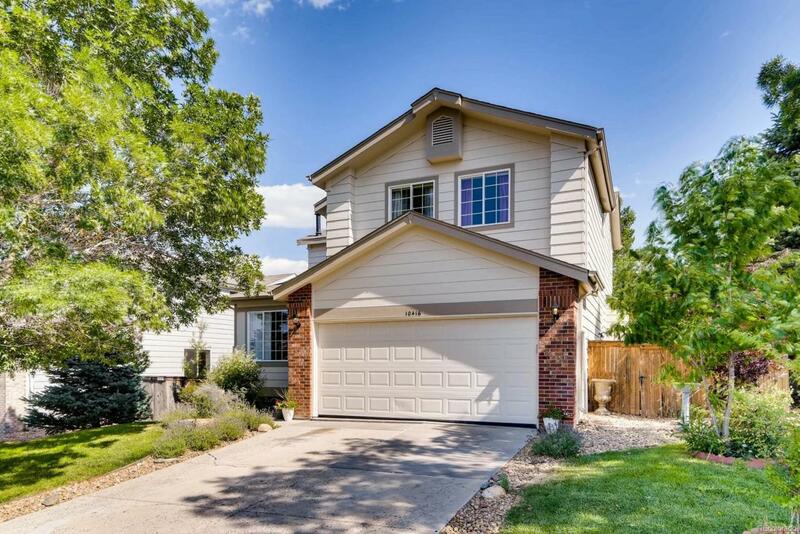 Minutes away from Park Meadows Mall, DTC and restaurants.